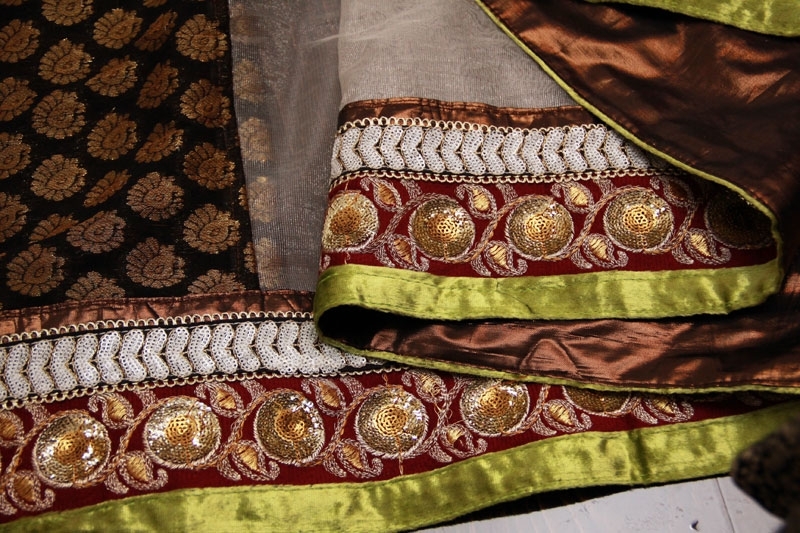 Aishwarya Rai Bachchan Elegant Designer Saree. 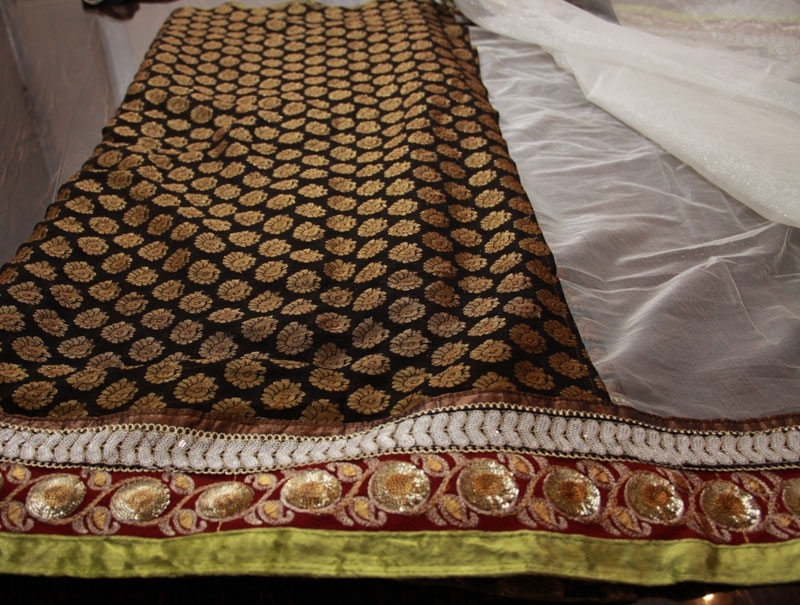 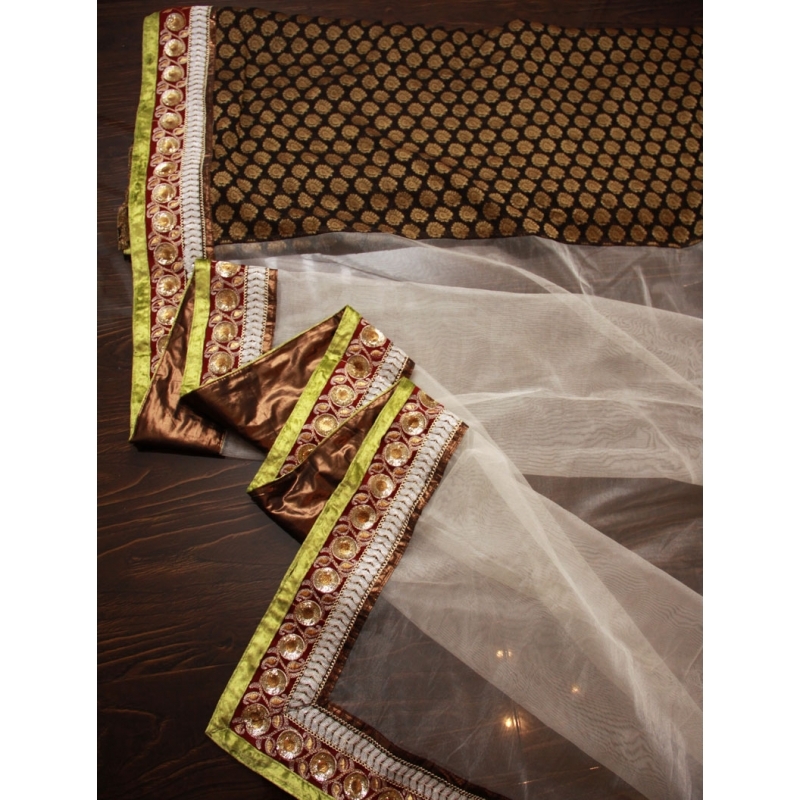 This saree is half net white, the top half of the saree is net white, and lower half of saree where it is pleated is in black with gold patterens, this is a soft saree which is easy manage. 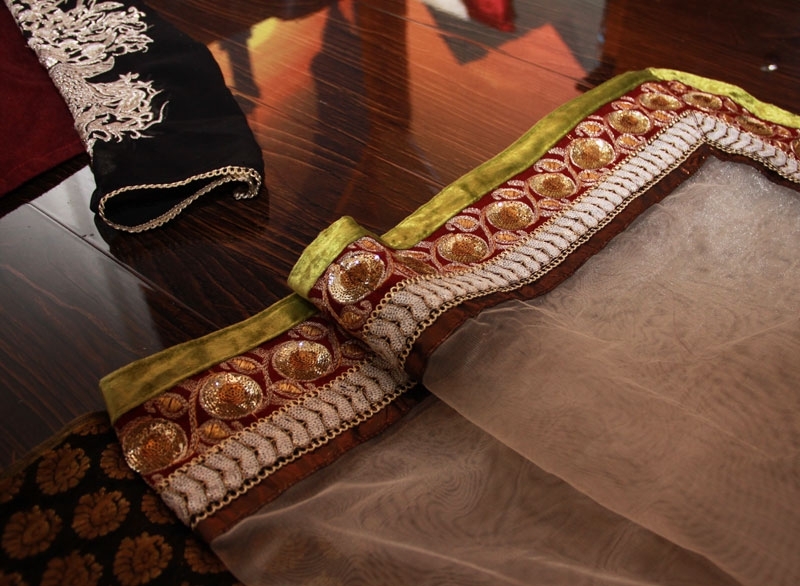 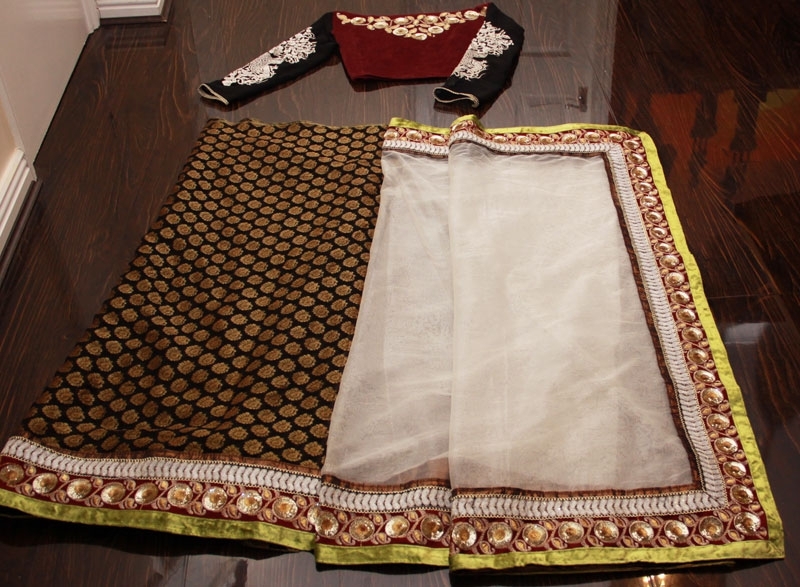 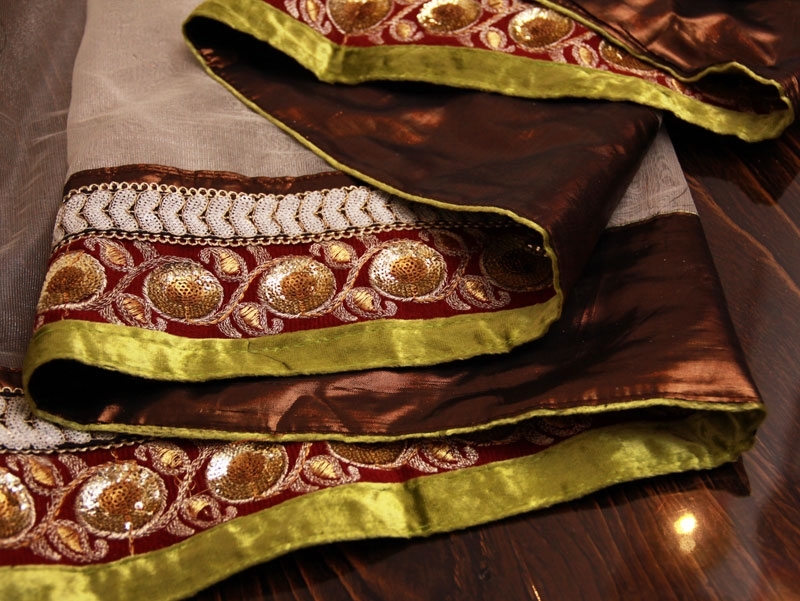 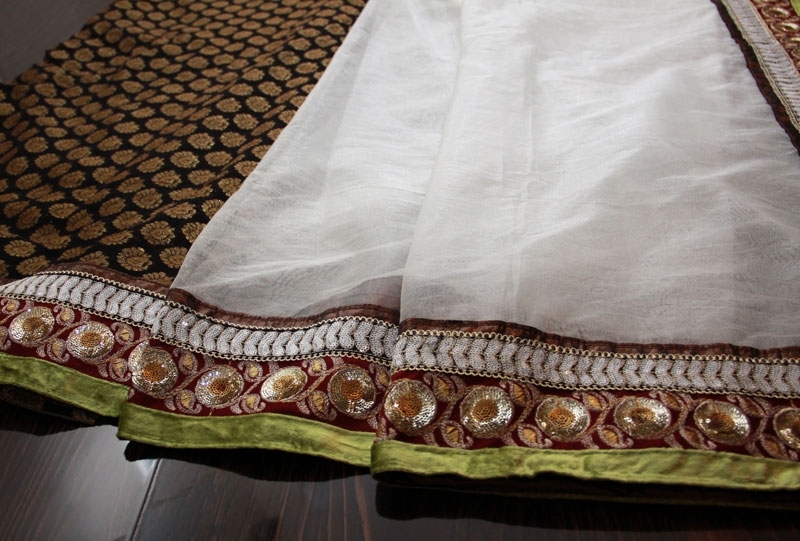 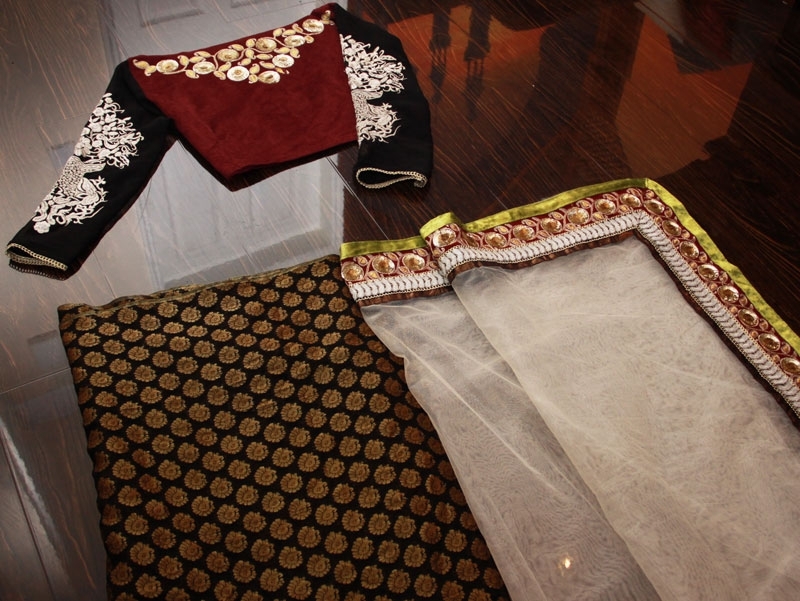 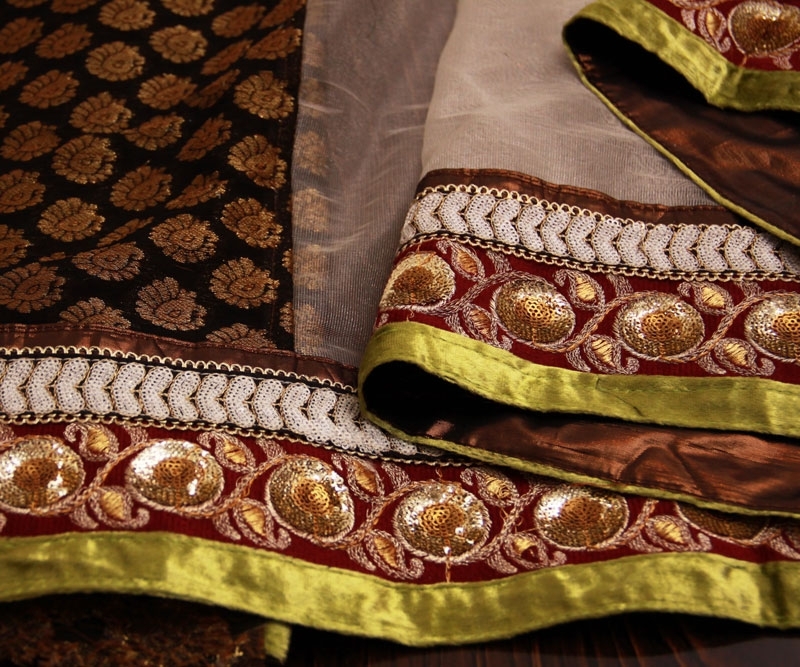 The borders are of green velvet with golden floral patterns and white embroidery patterns. 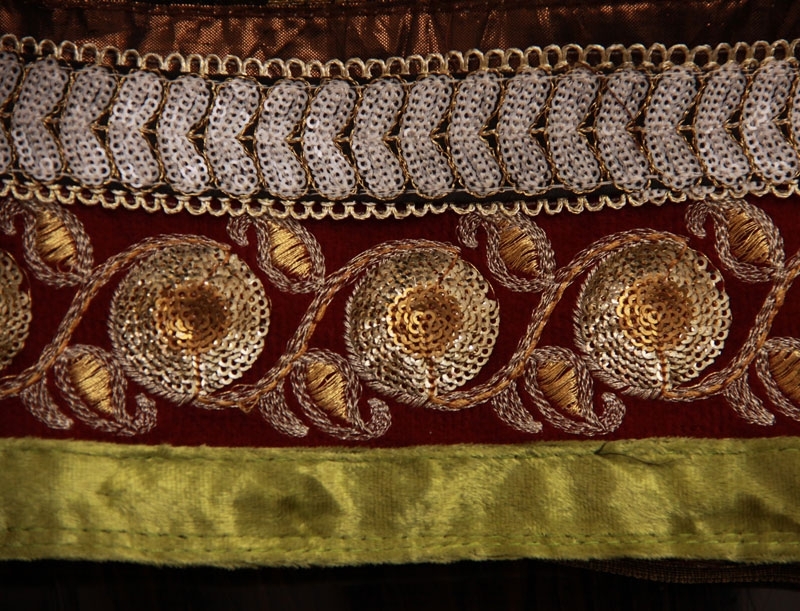 The Blouse is material is in Plum coloured velvet. 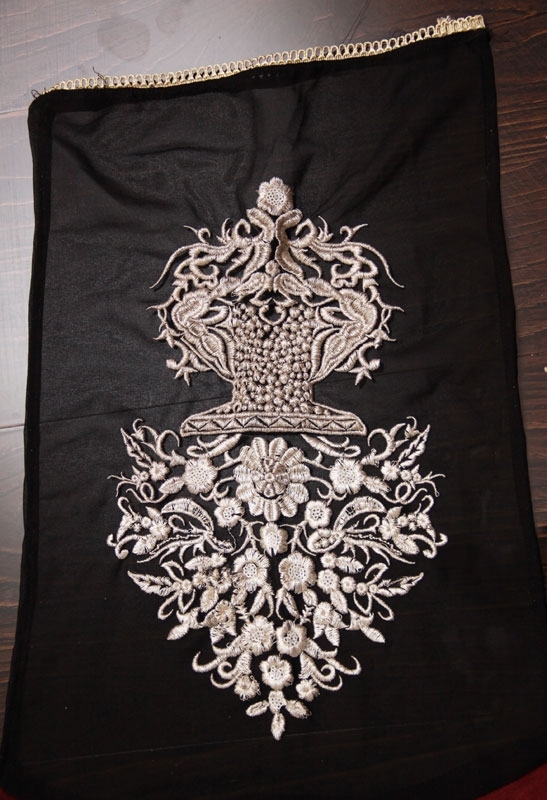 The arms of this blouse is black Chiffon with white embroidery. 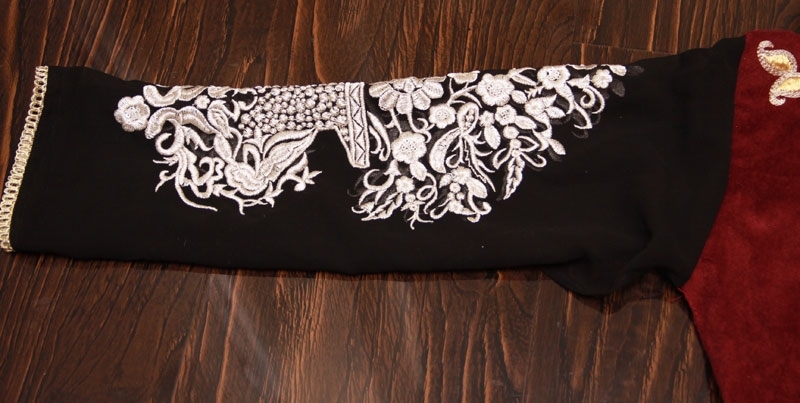 This is only available long sleeves. 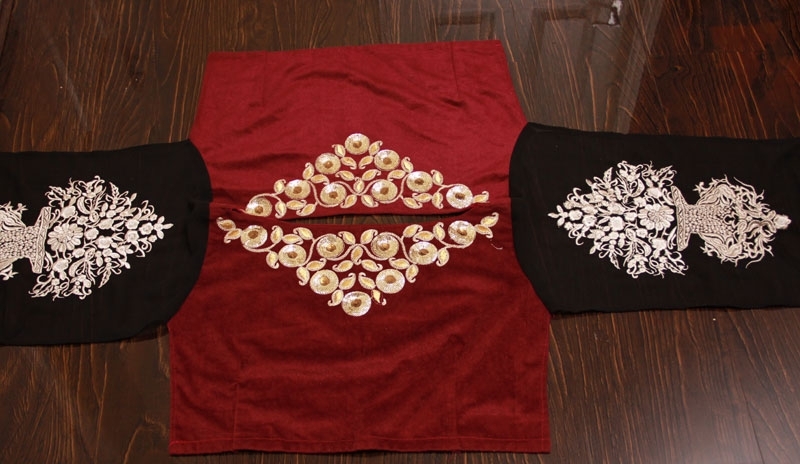 This blouse is unstitched.